If you’ve picked up a Switch you’ve no doubt been impressed by the games and the overall design, but decidedly underwhelmed by the display—which is uglier than the ones found on cheaper products like the $100 Amazon Fire. Wall Street Journal is now reporting that Nintendo is considering another model of the Switch—this time with a display that actually shows off all those pretty games. 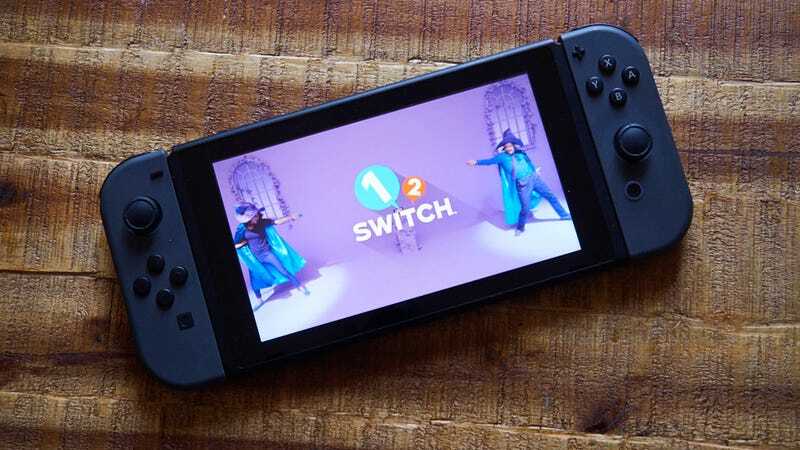 The current Switch ships with a subpar 6.2-inch, 720p LCD display. The LCD is not pretty, with elevated black levels that remove the contrast from images and leave everything looking washed out compared to the same content on a television (or a phone). I couldn’t stand the display back when the Switch launched, and was still unimpressed when I revisited the Switch 18 months later. So the idea of a new Switch, with a proper display, is mighty appealing. According to the Wall Street Journal the display would not be an OLED—as is popular in the iPhone XS and Samsung Note 9—but an LED. That’s the kind of display found in products like the Essential Phone and Apple’s upcoming iPhone XR. LED displays aren’t quite as power efficient as OLEDs and don’t produce as dark blacks, but they are less expensive and can produce richer colors. A 6.2-inch LED display would make the Switch feel like a much more quality hand held product—though it should be noted that while such a display could improve battery life, display quality, and even make the Switch thinner, it would also, likely, result in a more expensive product—and potentially one that is more easily damaged than the current model. It should also be reiterated that this is not a done deal on Nintendo’s part. The Wall Street Journal story notes that Nintendo is only considering a new Switch, and that the new display is just one redesign option on the table. The Switch, while selling well, is starting to see sales stagnate. Thus the new model to encourage more sales. It’s not unusual. The Nintendo 3DS has had six different models available since it launched in 2011. The Sony PS4, which launched in 2013, has seen at least three models—same for the Microsoft Xbox One which launched that same year. As the cycle between major console refreshes grows larger, the number of mid-cycle updates grows too.